Provide comfort for the family of Patricia Moses with a meaningful gesture of sympathy. 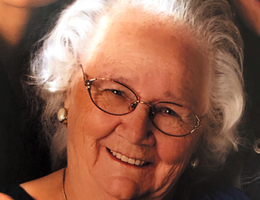 Haysville - Moses, Patricia Jean, 89, loving mother and grandmother, went home to Jesus on Saturday, March 30th, 2019. Visitation 1 - 8pm Wednesday evening, with family greeting from 4-7pm: Funeral 1pm Thursday, April 4, both at Smith Mortuary – Haysville, 7031 S. Broadway. She is preceded in death by her husband, John Moses Sr; daughter, Patricia Rector; daughter in law, Debra Moses, granddaughter, Ainsley Norris, great granddaughter, Josie Rivera. Patricia is survived by her seven children, Connie Dingler, John Moses Jr (Kay), Steve Moses, Carla Breech, Danny Moses (Martha), Teresa Wilcox, Elizabeth Norris (Brian); 22 grandchildren; 40 great grandchildren, and 5 great-great grandchildren; 2 brothers and 1 sister. In lieu of flowers, a memorial is with the Bridgeport Missionary Baptist Church building fund. We encourage you to share your most beloved memories of Patricia Moses here, so that the family and other loved ones can always see it. You can upload cherished photographs, or share your favorite stories, and can even comment on those shared by others.